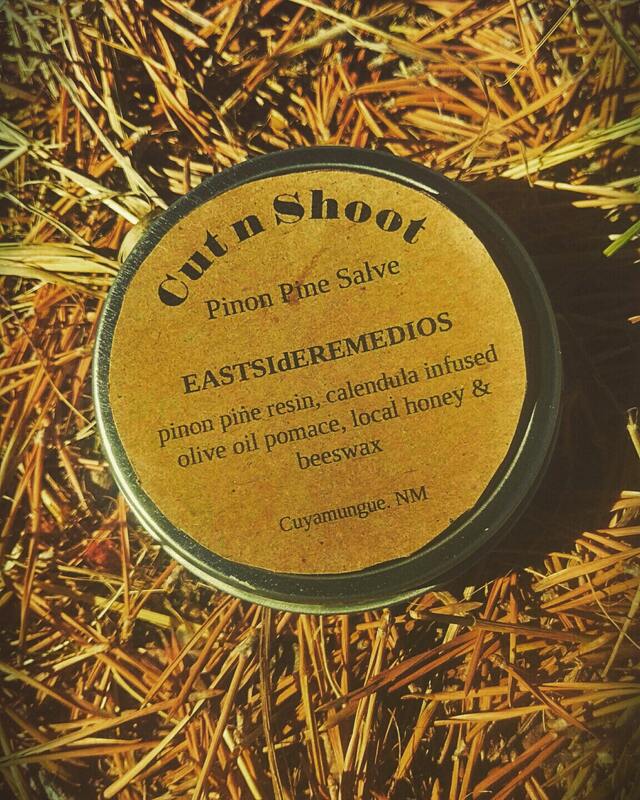 Pine pitch balm, or encerado as it is known in Northern New Mexico, is made from trementina. 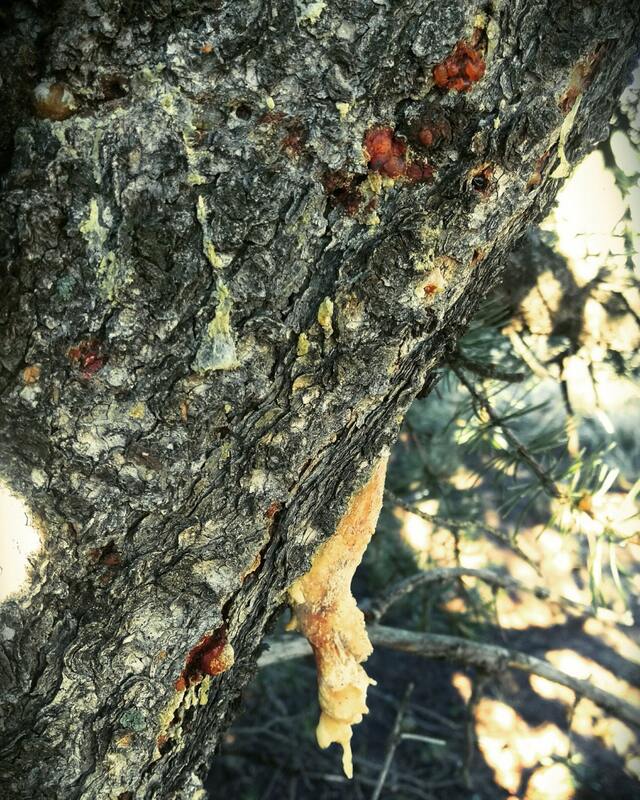 Trementina, the sap from the pinon tree, has been used for hundreds of years for drawing splinters and healing cuts and other minor skin abrasions. 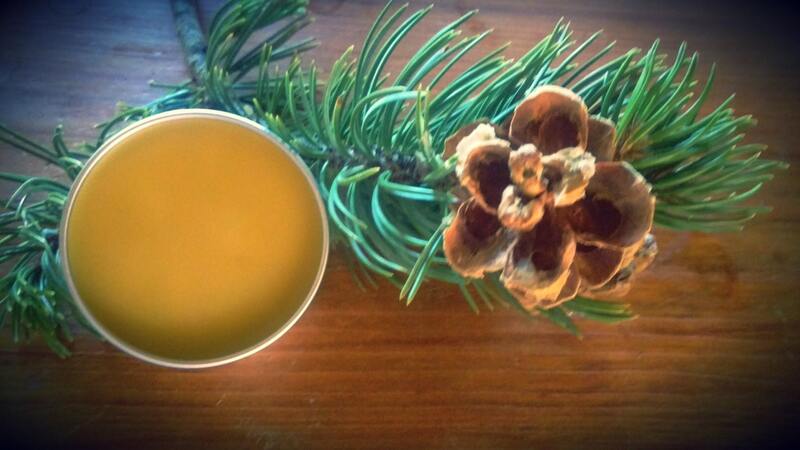 My mom would take me as a kid out in the woods of East Texas to find pine pitch. She'd say the oranger the color, the stronger the medicine. We'd harvest most of our sap from the forest floor. But if she cut some off the trees she'd always say "REMEMBER LEAVE SOME FOR THE TREE , TAKE SOME FOR ME." We add osha to our salve. Osha grows in the Rocky Mountains. Called bear medicine, osha has anti-viral, anti-bacterial, anti-fungal and anti-inflammatory properties. Many people even carry a piece of osha in their pocket as a talisman of sorts. This salve is great for dry chapped skin; cracked heels, cuticles and elbows; any minor skin irritation, and drawing out splinters.